Last month, an article in the The Guardian stated that the UK threw away an estimated 7.3 million tonnes of food waste in 2015 — 4.4 million tonnes of which was considered edible at some point before it was put in the bin. If 7.3 million tonnes sounds like a difficult figure to get your head around, we'll put it another way: UK households binned £13 billion worth of food over a 12 month period, which equates to an alarming £470 worth of food waste on average per household. If you're as shocked by these statistics as we are, perhaps it's time to take a more sustainable and ecological approach to the food we eat. By saving your leftovers to create other tasty and exciting meals, you'll not only reduce food waste and thus help the environment, but save money and eat well too. Here, we offer six quick, easy and clever leftover recipes that will help you save money and waste less. 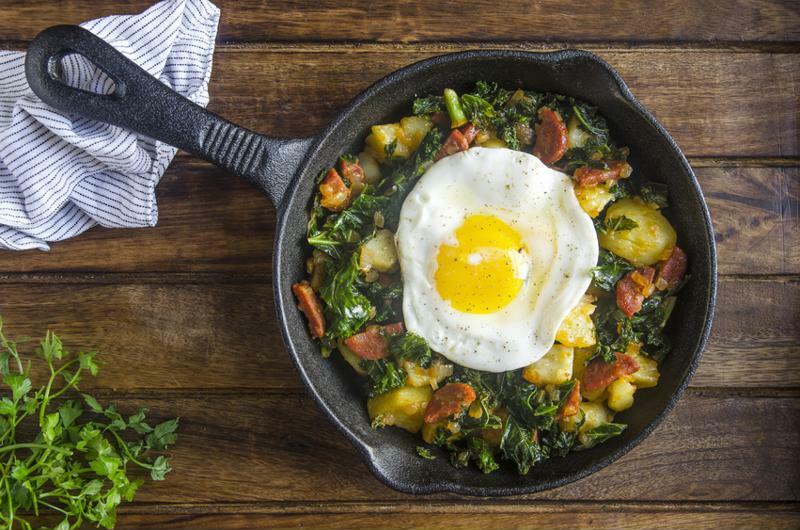 If, like us, you appreciate a decadent brunch every now and again, this delicious leftover potato and chorizo breakfast hash is sure to go down a storm in your household. Perfect for using up leftover roasties or potatoes that are starting to sprout, as well as the rest of that delicious chorizo sausage that's been lingering in the fridge for a few days; this potato and chorizo hash is easy to make and certain to put a smile on the family's faces morning coffee. Preheat the oven to 180°C. Peel and finely chop the onion and garlic, before dicing the leftover chorizo and cooked potato. Then, pick and finely chop the parsley. In a pan, fry the onion and garlic gently in a dash of olive oil until soft and browning. Add the chorizo, cook for additional 2-3 minutes and then add the potato, frying the lot for a further 5 minutes. Crack the eggs on top of the hash mixture in the frying pan, before transferring to the preheated oven. Cook for around 8 minutes, or until the egg whites have set. Sprinkle with salt and black pepper, and serve. Wondering what to do with the roast chicken leftover from Sunday lunch? 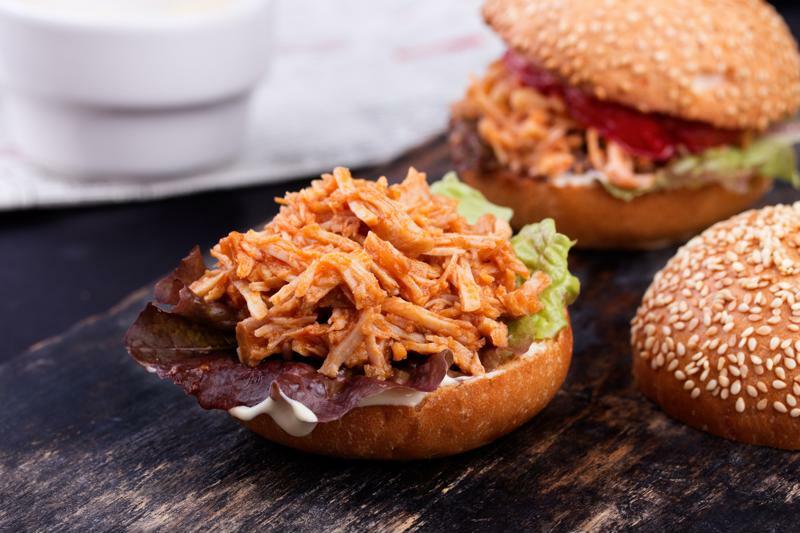 We've just the thing — pulled chicken sloppy Joes. This delicious burger-come-butty is filled with delicious pulled meat and crunchy veggies, for a perfect treat tea on a Monday evening. To take your leftover sloppy Joes to the next level, we'd recommend serving up with a pot of gravy for a little shameless dunking. Pull apart your leftover chicken meat and place in a pan with a splash of water and 4 tablespoons of gravy. Put the lid on and heat on low for 10 minutes. Gently warm the rest of the gravy for dunking later. Next, peel and finely shred the carrot, matchstick the apple and finely chop the red onion. Place the lot in a mixing bowl with sliced mint leaves and 1 tablespoon of pickling liquid from the gherkin jar. Then, finely slice the gherkin and chilli, add to the bowl and mix, before setting aside. Split and toast the bread buns under the grill, before spreading them with BBQ sauce top and bottom. Then, top each bun base with the pulled chicken and a little gravy, before adding your homemade slaw. Put the lid on, and serve alongside the remaining gravy for an indulgent dunk. It's easy to overdo it on the mash and be left with a pan-load which seems destined for the bin, but hold your horses; we've got the perfect recipe for using up leftover mashed potato. These prawn and cod cakes are delicious served alongside seasonal veg and a poached egg, and they're healthy enough for a tasty dinnertime treat. This recipe uses prawn and cod, but you can use other types of fish if you like, depending on what you have in the fridge. Heat the oven to 220°C. Cover the cod in cold water in a small saucepan, before poaching for 2-3 minutes until cooked through. Then, remove with a slotted spoon and pat dry using kitchen roll. Flake the cod into a mixing bowl along with the chopped prawns, potato and chives, as well as the lemon zest and a little salt and pepper. Then, using your hands, shape the mixture into four evenly-sized cakes before chilling for 10 to 15 minutes, to firm. Remove the cakes from the fridge and dip into the beaten egg, before coating with breadcrumbs. Do this for the remaining cakes, before coating each in a small amount of olive oil and placing on a baking tray. 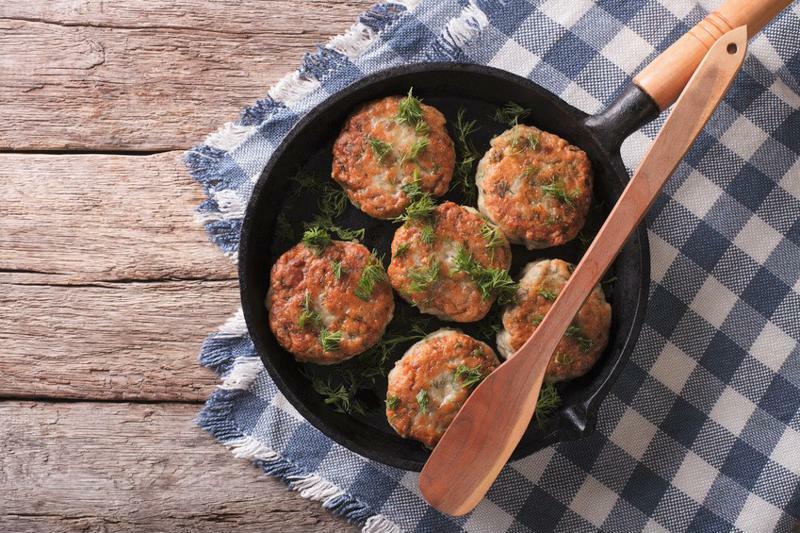 Cook the fishcakes in the oven for around 25 minutes, turning halfway through. Top each fishcake with a freshly poached egg, before serving with seasonal vegetables. 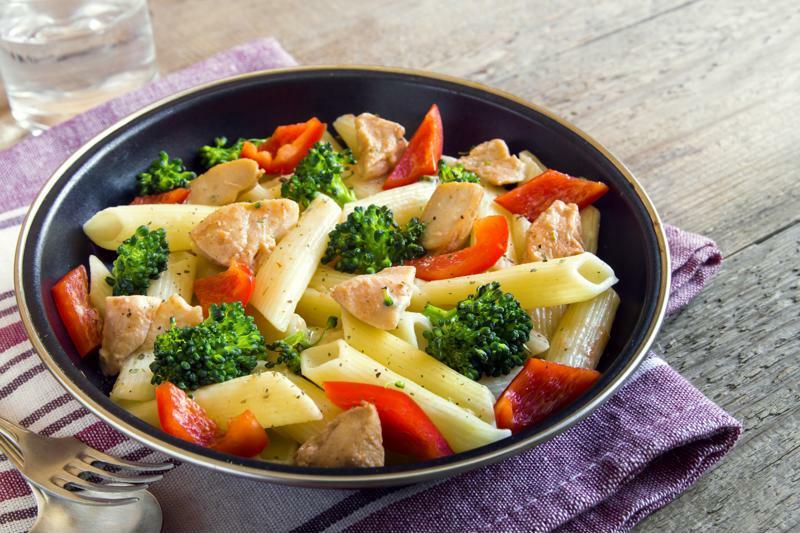 If you're tired of making chicken soup with those leftover bits of poultry meat, why not give this delicious honey and mustard chicken pasta dish a go? Super easy to make and perfect for packing up for lunch, this tasty and wholesome pasta dish is a great choice for families with young kids and can be made with simple ingredients that most of us have in the kitchen. Boil the pasta, before cooling under cold running water and setting aside. Then, mix the mayo, mustard and honey in a large bowl, loosening with a little water to make the dressing consistent with double cream. Add the pasta, chicken, onions, basil and tomatoes, season to taste, mix together and serve. 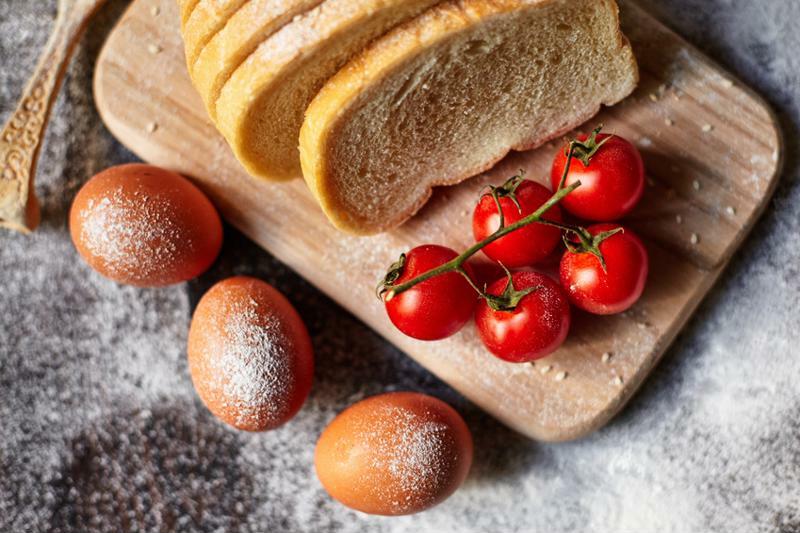 Bread is among the most wasted foods in the UK, with millions of stale slices binned each year. Rather than throwing away that tired old loaf, give it a new lease of life by making it the centre of this delicious cherry tomato & ham bread & butter bake. A savoury twist on the classic bread & butter pudding, this indulgent bake promises to be a real crowd-pleaser, and is the perfect way to ensure that no bread finds itself in the bin ever again. Heat oven to 180°C. Make a simple garlic butter, and use it to grease a shallow baking tin or dish. Spread the remaining garlic butter on to the bread slices, before cutting each slice in half diagonally. Arrange the bread slices in the baking tin so they overlap each other. Then, carefully add the tomatoes and chopped ham in and around the bread, so they're evenly distributed throughout the dish. In a mixing bowl, whisk the milk and eggs together, before seasoning with salt and black pepper. Pour the mixture into the baking tin, pushing the slices of bread into the mixture. Leave to stand for 5 minutes, then scatter the grated cheese on top. Bake in the oven for 35-40 minutes, until golden and just set. Serve with a crisp green side salad. For a family of two or even four, it can sometimes be difficult to use up a pack of sausages, leaving you wondering what to do with the remaining bangers. 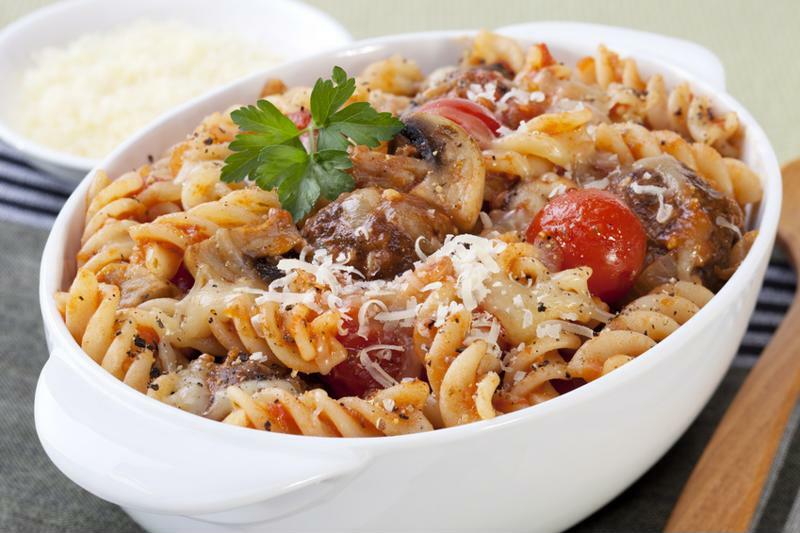 For an easy family favourite, pop the sausage meat out of the skin and use it to add a little interest to that classic Wednesday night pasta bake. This recipe relies on ingredients everyone should have in the kitchen, and is taken to a whole new level by the delicious leftover sausage meat. Add the sausage meat, breadcrumbs and chopped herbs to a large bowl, and mix together well until fully combined. Then, form the mixture into 20 small balls. Heat the oil in a wide pan and cook the sausage balls for around 10 minutes, until browned. Add the passata and tomato paste, before covering and simmering gently for around 20 minutes. In the meantime, cook the pasta per the instructions on the packet, before draining. Toss the pasta into the sauce and mix together, before spooning the lot into a large heatproof dish. Heat the oven to 200°C, before topping the pasta with the pieces of mozzarella. Sprinkle with the parmesan and breadcrumbs and bake for 15-20 minutes until bubbling and crusty. Serve on its own or with a little garlic bread. Looking to save money whilst reducing your family's food waste? At FoodSaver, our innovative vacuum sealers keep food fresh for up to 5x longer, making it easy to enjoy fresh and delicious meals without letting ingredients go to waste. To find out more about our product range, visit the FoodSaver homepage.